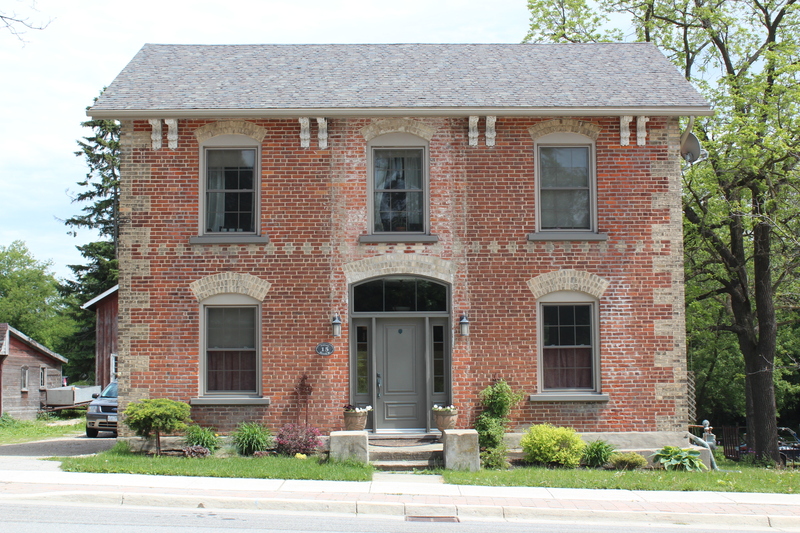 Built by one of Harriston's first blacksmiths. He purchased the lot in 1872 and built the house in 1876. 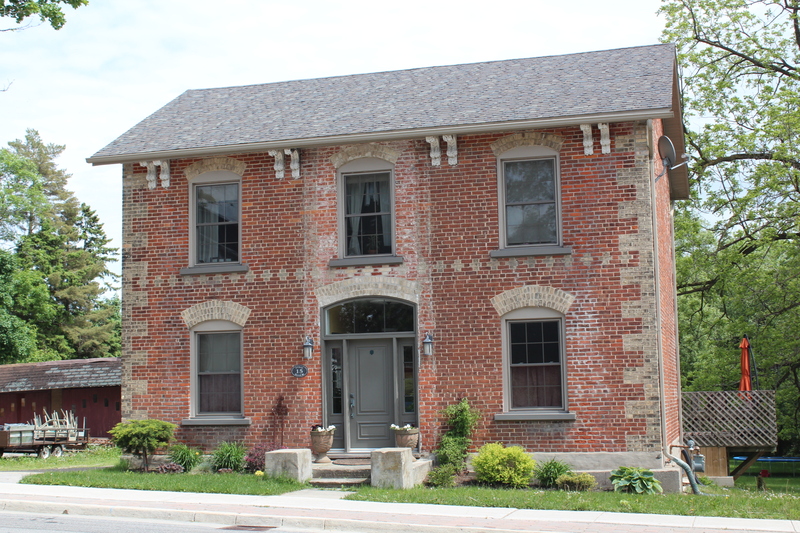 His original shop and residence was located on Mill Street in the 1860s. This house was copied from a Scottish style that had no sidewindows. The basement served as their kitchen and dining room. Also, there was a cold cellar and well for dirnking water. A small barn on this lot housed his livestock and the woodshed was used as a school in the early days. Several fruit trees once grew in the backyard. The Hamilton name was marked in the front door step of this home. Daniel Hamilton held mortgages on various properties in town for many newcomers that wished to settle here. After his death in 1924, Hugh W. Simpson, DVM, purchased the house and practice, moving the office to the basement and kitchen and dining room to the main floor. A back bedroom on the first floor served as a drug dispensary. Dr. Simpson owned and raced standardbred horses. Former owners: 1872 Daniel Hamilton, 1924 Hugh W. Simpson, 1952 Francis Gordon.